It is important for you to learn how to make a responsive website since it is the key of todays web have high rate in google. 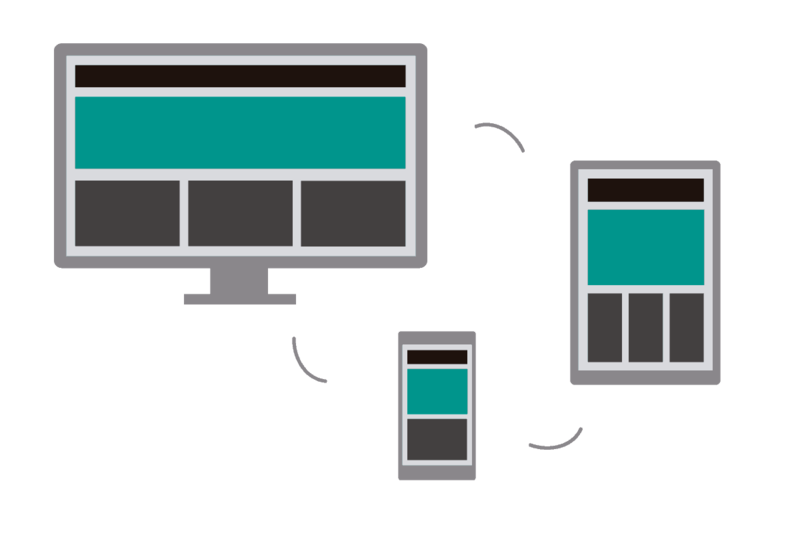 By using responsive design, then your website can be viewed in any screen size without worry. Thus, it would become mobile friendly as mobile viewing will have smaller size screen compared to desktop screen size. And mobile friendly website is something that google want these days, which is why they start to give higher rating for that kind of website. Now it is the time for you to learn how to make one for your own website. Before learning about how to make a responsive website, most designer will use pixel as their grid measurement. However, now you should use fluid grid since then the size will become more promotional to the screen size. This will surely make the website become more responsive to the screen size which is the ultimate goal you want to achieve. Since responsive website should be mobile friendly and as you know this mobile device will use touchscreen to navigate. This is why, you should also adapt touchscreen usage into your design. Make your buttons and menu big enough to be used on touchscreen device. Even though you want to mimic the desktop as similar as possible. However, this does not mean you need to put all element for mobile viewing. That is why, you need to choose the element of your website wisely. Then decides which element that you want to include for mobile viewing and which element that specifically for desktop viewing. Image is one of the most challenging things that you need to handle when learning about how to make a responsive website. Since the image need to be scaled correctly to match the screen size especially for mobile viewing. To do this you need to apply css code to your image so you can decide how the image will be handled on each screen size. If you cannot design your own layout, then it is better to just use a template. There are templates that is created to be responsive so you only need to customize it to make it more personal without having to be worried about the design at all. Furthermore, you can even find templates that are free to use which will be suitable for small business since you do not need to pay for it. Of course, it would be better when you can create your own design, but even then, using a template will make it easier for you to design your website based on the template. Those are the things that you need to know when learning how to make a responsive website. By using this responsive design, then your website can be viewed easily on any type of device with different screen size. Even mobile viewing which surely have smaller screen size compared to desktop viewing.